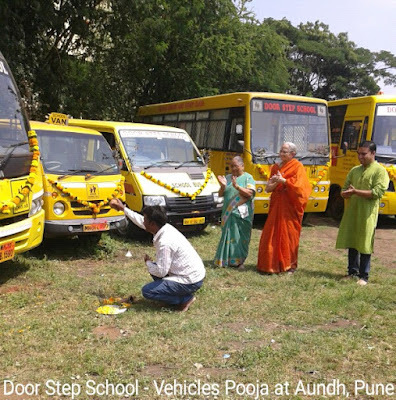 Door Step School runs various programmes for education of underprivileged children in and around Pune city. These include Educational Activity Centers run at construction sites and mobile classrooms used in temporary slums. All the children covered under Door Step School programmes are encouraged and helped to attend nearby government schools for formal education. 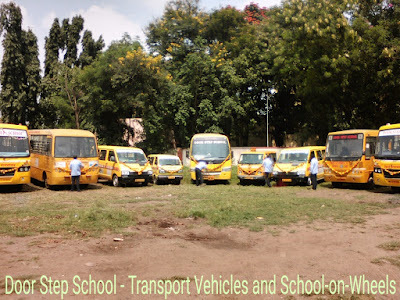 Apart from creating awareness about education among parents and enrolling children in schools, Door Step School also provides school transport facility wherever possible. 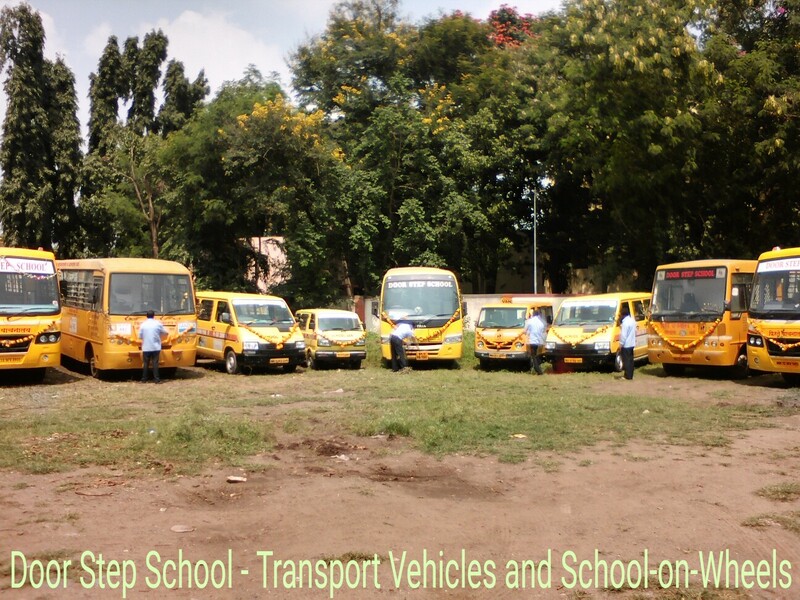 At present, five vehicles (vans and bus) are used for ferrying children to and from schools across Pune. Four School-on-Wheels buses reach out to around 400 children every day, offering education at their doorstep. 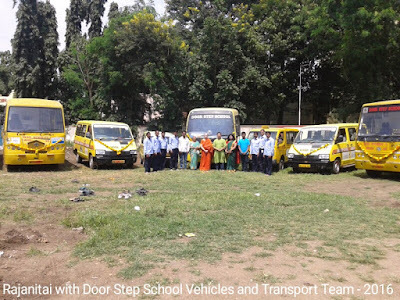 Along with the teachers and escorts, our drivers (fondly called Kaka) play an important role in both school transport and mobile classroom programmes. We express our gratitude towards our vehicles and entire transport team (driver Kaka's) on the occasion of Dasara (Vijaya Dashami) Pooja. We are happy and proud to see everyone in the team equally concerned about and aligned towards the organizational goal of 'Education for All'.